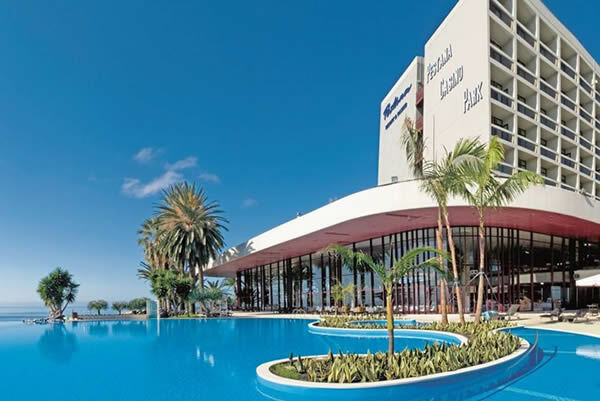 Whether you are looking for a cheap last minute holiday, an all inclusive family hotel or a luxury 4 or 5 star property, Madeira has a wide variety of holiday accommodation to suit everyone. To see a list of our favourite Madeira hotels please click Madeira Hotels. Madeira has an enduring popularity and a great choice of destination for visitors of all ages. Its year round mild climate (temperatures between 20 and 27°C) earns the island the name of land of the eternal spring. The levadas, an ingenious system of watercourses distributes water from the rainy north to the dry south and helps flowers and crops flourish throughout the year. The maintenance paths for these canals provide wonderful level trails for hiking in the mountains and through the lush landscape. Tourism was traditionally centered on the capital Funchal but with a vast road building projects in place since the turn of the century more and more areas of the island has become accessible to main stream travellers. Funchal is the main port and holiday destination in Madeira. Set on a hillside, this diverse capital city successfully blends the old and new. You will find modern shopping centres and a cosmopolitan marina located by cobbled streets and quaint restaurants. The splendours of the city can be overseen by a trip up the cable car to the summit of the hillside that provides impressive views of Funchal and the coastline below. If you stay in Funchal for the whole of your stay, then you can be sure of a wide selection of hotels. Many of the more established hotels are situated near the Lido in the area of the city called Sao Martinho. More recently constructed hotels are out of the town centre. As there are no beaches in Funchal apart from a small man made beach the hotel poolside or the lido is the place to relax and sunbathe. Funchal has the best nightlife on the island, it has a low crime rate, a friendly population and plentiful reasonably priced taxis to help you explore. Resorts such as Garajau, Canico de Baixo and Santa Cruz provide a tropical climate and quieter surroundings. They are not too far from Funchal due to the new motorway the Via Rapida. Canical and Machico are also within easy reach thanks to the new road infrastructure again these fairly undeveloped resorts are relatively quiet but the sand beach of Sao Lourenco is not too far away. All these resorts are located by the sea and are home to a cross section of quality hotels. (1) Monte Cable Car - Take in the stunning views above Funchal and visit the botanical gardens by riding the Monte Cable Car. You can buy a return ticket or return via a toboggan run that takes you back into the town. The toboggans are slowed by two rubber soled runners that keep the pace at exciting levels. (2) City Bubbles - Hire a two seater electric car for the day, have fun and sightsee all rolled into one! (3) If nature is your thing, visit some amazing gardens and parks, take in the Santa Catalina Park, the Presidential Palace gardens and Palheiro gardens. (4) Whales and Dolphins - A popular trip is to go looking for whales and dolphin, several boat excursion allow you to get up close to the beautiful creatures. (5) Golf - As in mainland Portugal, golf is very popular and there are great courses in Funchal and Machico. (6) Take in some picturesque views and take some memorable photographs around the island, landmarks such as Faja dos Padres, Ponta de Sao Lourenco and Cabo Girao should all be on your list. (8) Check out the local market in Funchal and call into to a quaint bar and sample some local Madeira wine.